xtraCHEF is an invoice processing and cost intelligence application that prepares the hospitality industry – a $10 billion market – for the future of procurement. Today, restaurants receive and manually process over two billion paper invoices annually – a time-consuming, error-prone, and low-value task performed by highly compensated knowledge workers – chefs, restaurant managers, and accountants. xtraCHEF relieves restaurants of this burden by allowing users to simply take a picture of an invoices with our mobile app (or scan and upload) and let xtraCHEF take care of the rest. Our technology digitizes the entire invoice, extracts line-item detail, and imports the data directly into your Accounting or Inventory Management System. We then provide an extensive level of cost intelligence features, including COGS reporting and analytics, price tracking, recurring spending reports, and more that allow restaurateurs, executives, and accountants to gain visibility into how money is being spent across all locations and better visibility into each restaurant’s food costs. Yet, automating manual invoice data entry and streamlining cost accounting is merely the first step in what will become a transformative procurement process. With each new customer and every transaction processed, our platform aggregates additional purchase data. In the future, this data will not only provide timely transparency into purchase history but will inform future purchasing behavior. With xtraCHEF’s help, restaurants will be able to purchase food just like consumers shop for flights, cars, lodging, electronic devices, etc. Price transparency and cost intelligence reflect the future of procurement in the restaurant industry. And, for xtraCHEF, our data is our differentiator. xtraCHEF is led by Andy Schwatrtz (CEO), Bhavik Patel (CTO) and Daniel Chulsky (COO). 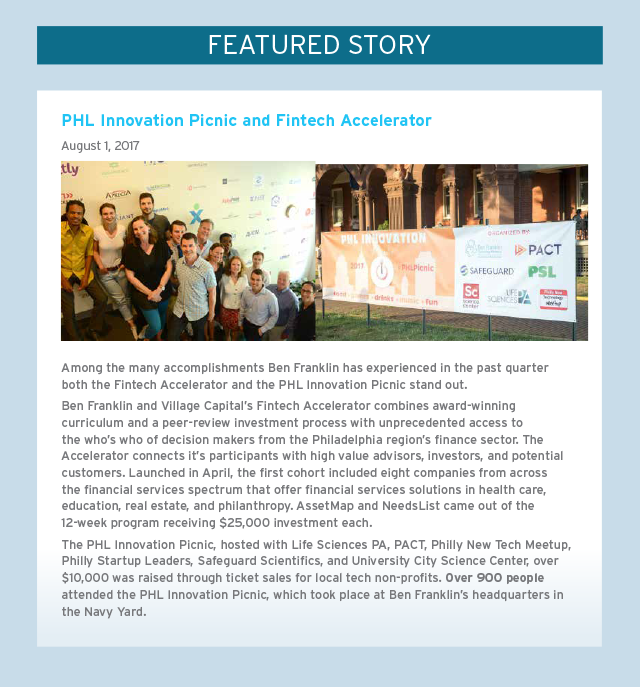 Haystack Informatics was born out of a collaboration between The Children’s Hospital of Philadelphia (CHOP) and DreamIt Ventures. The company created a next-generation behavioral patient privacy monitoring system, used by leading health systems to detect, investigate, and report patient privacy violations. Haystack Informatics is led by co-founded by Dr. Bimal Desai, Chief Health Information Officer at CHOP, and Adrian Talapan, tech entrepreneur. Melzi Corporation has developed the Melzi Needle Finder. The Melzi Needle Finder is an electronic surgeon’s tool to quickly locate surgical needles lost during a surgery. Quickly locating lost surgical needles saves hospitals money by decreasing non-productive surgeon time and hospital resources while improving patient safety and operating room experience. VeryApt is a data-drive, on-demand concierge rental platform that makes finding, leasing, and renting an apartment easier, and less expensive than ever before. VeryApt is led by Ashrit Kamireddi (CEO), Andrew Mackowski (CTO), and Scott Bierbryer (COO). Clear Admit is a digital media platform and community comprised of talented young professionals around the world who are seeking an edge in the graduate business school admissions process. We provide admissions news, advice and resources that help 1) applicants find the right business school, 2) business schools, firms and services providers find the right candidates and 3) applicants find each other and build community. Clear Admit is led by co-founder & CEO Eliot Ingram, co-founder & CMO/CTO Graham Richmond and Editor In Chief Jeanette Brown. Senior management includes Andrea DePrato (Director of Sales), Marianne Mondt (Director of Marketing) and Lauren Wakel (Director of Publications). Instinct Science, LLC is a greater Philadelphia-based animal health company that helps the world’s state-of-the-art veterinary practices streamline their care through medically-driven invoicing and thoughtful automation. Veterinary care is at the center of the booming $65 billion U.S. pet industry. But the veterinary industry is suffering from substantive operation inefficiencies: the typical veterinary center loses 10-20% or more of their annual revenue to services performed but never charged for. By offering an easy-to-adopt workflow system that serves as the patient activity nerve center for veterinarians, veterinary nurses, and hospital support staff, Instinct empowers practices with software tools that capture missed charges, greatly improve workforce efficiency, and ultimately enhance patient outcomes. 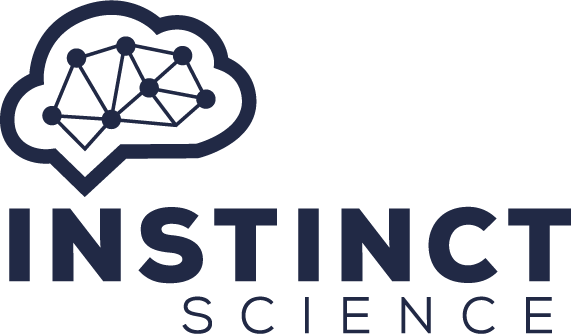 Instinct Science is led by Founder/CEO, Dr. Caleb Frankel, and a team of veterinary professionals and efficiency geeks with years of experience developing and commercializing point-of-care software for the veterinary industry. Near-Miss Management (NMM) is transforming the way industrial operations detect and manage their process risks. Their flagship product, Dynamic Risk AnalyzerTM (DRA), is a first-of-its-kind early risk detection and advanced warning platform for the process industries. DRA has been proven at industrial plants, globally, to prevent unexpected shutdowns and failures, saving them millions ($) in repairs, startup costs, and lost opportunities. NMM’s unique approach has not only earned several patents but also a reputation as a disruptive technology that provides ‘peripheral vision’ to the operating teams. Ultimately, by empowering operating teams to act timely and proactively, NMM technology increases the process up-time and utilization, while improving the overall reliability, efficiency, and safety of operations. Near-Miss Management is led Dr. Ulku Oktem, CEO and President, who has 30+ years of combined industrial (Rohm and Haas) and Academic (Wharton School) experience. Dr. Oktem is supported by a strong leadership team of highly skilled technical and business professionals. BumpOut Bluetooth Speaker is the world’s first truly portable speaker that features Motorized Expansion Technology™. An ergonomic sleek design that fits comfortably in your pocket and attaches to any smartphone. BumpOut is led by Founder and CEO, Zac Pierce; Co-Founder and COO, Michael Israel; VP of Manufacturing, Brian Zamrowski and Director of Community Initiatives, Mathews Chacko. TalexMedical is the proud producer of Infantear – a revolutionary Class I medical device for the treatment of external ear deformities in newborns. InfantEar is a simple, yet elegant, nonsurgical ear molding system, applied in the outpatient setting, replacing the costly, labor intensive surgical ear procedure. The unique, fully customizable device is made of soft materials for increased comfort. Targeted primarily to pediatricians, who can recognize and treat the ear anomaly with one two-week treatment applied to a patient in the first three weeks of life, avoiding the delayed and costly external referral with specialists. This helps us to achieve the Triple Aim of Healthcare – improved results, increased patient satisfaction and decreased cost. TalexMedical is led by Founder and CEO Scott P Bartlett, MD; and President Kimberly H. Coffey. Tassl is a software-as-a-service company bringing management and analytics to higher education and other professional networks in order to improve the accessibility and value propositions in our networks. Tassl is led Founder and CEO, Melissa Schipke. TimelinePI has developed a completely new approach to understanding, analyzing and monitoring business processes. The company’s patent-pending Timeline Analysis engine allows users to load data from one or more systems and immediately convert it into an interactive model. Users can then choose from dozens of pre-built analyses to understand their data in a way not possible with typical BI tools.